Yesterday I edited "home" to change to "家具", but it still shows "首页" today. Every time the page is re-cached，Will the previous manual editing fail? How long will the page be re-cached? 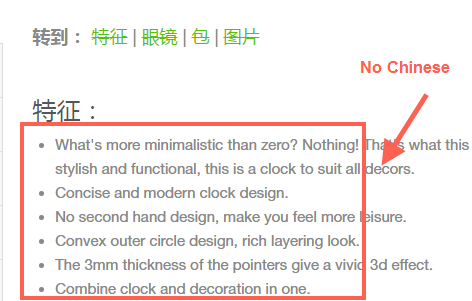 2.The first to enter the translation page, the translation is not complete, the second time to complete translation. Is there a way to complete translation for the first time go to the page? Please let me know your website address. Make sure that you are using the latest version of Gtranslate plugin. Try to clear the cache . GTranslate should discover content to be able to translate it. If you are browsing translated version first time you can see original language but next time you will see translated page. You can use our live chat support. Google index page is also not complete translation，some HTML code is still in English. I have asked online but did not give the solution. I can not visit each page every time， I hope there is a way to solve.